Good Friday occurs two days before Easter Sunday. 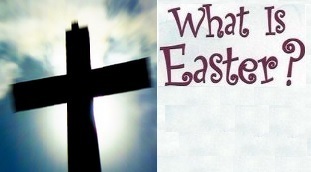 Date for Easter in 2014 is April 21 and for Good Friday it is April 18. In 2015, Easter will occur on April 6 and Good Friday on April 3. Easter is an important catholic religious holiday and widely regarded as the second most popular holiday in general after Christmas. On this day Christians commemorate the crucifixion of Jesus Christ, which plays an important part in the Christian faith. This is the reason why the cross is an important sign for Christians today. There are crosses in churches and many Christians wear a cross on a chain. It is a statutory holiday in all Canadian provinces and territories except Quebec, where it is partially observed. It is also known as Holy Friday, Great Friday, Black Friday, or Easter Friday. Why Good Friday is called 'Good Friday'? You might ask that if Easter represent Suffering of Jesus on Cross then why is Good Friday called 'Good Friday'? Christian believe that celebrating Good Friday means you understand the crux of Christianity. Good Friday is good because that is the day that they celebrate and honor the fact that Jesus Christ chose to suffer for them. All Christians (even those who normally do not go to church), visit Church on Easter. Many Christians spend this day in fasting, prayer, repentance, and meditation on the agony and suffering of Christ on the cross. For some Christians, the week preceding Easter is known as Holy Week . It begins on Palm Sunday and is traditionally a week of somber reflection on the events preceding Jesus’ death: his triumphant entry into Jerusalem; his betrayal by Judas; his Last Supper with his twelve apostles; his arrest, crucifixion and death; and his burial in a tomb. There is a 40 Day lent period proceeding Easter that begins on Ash Wednesday and ends on Easter Sunday. Did you know that the word "breakfast" originates from "breaking the fast" after a 40 day lent period preceding Easter? In Jerusalem, some christians remembers the crucifixion by following the same path that jesus took and playing out the events till the end when Jesus died on cross. As part of the commemoration, people also eat hot cross buns that have cross shape on top. Here is a list of some events and activities that are particular to Easter. We have also organized a list of places to go and things to do on long weekends and they are organized by provinces. Please click here to get more ideas of Fun Events and Places to visit around Canada. For over 40 years East Toronto has enjoyed a parade celebrating Easter and the beginning of spring. Now officially sponsored by the Lions Club in the Beach neighborhood, Toronto's Easter Parade runs along Queen Street West. Themes of the floats and marchers may not always relate directly to Easter, but it's all good fun. Enjoy an elegant meal then explore Toronto's castle in the city. Tickets are $13.45 for children under 4, $26.45 for kids 4-12, and $51.45 for adults (gratuities are included, taxes are not). Visit the website for the full menu. Enjoy 2 hours of indoor playground fun! Easter Hunt, Meet the Easter Bunny, create Easter crafts, Bubble blasting with Dora, face painting and lots more. Pre registration required. Guaranteed to sell out. Two separate times available for hunts .. in the morning and in the afternoon. $15 Per Child. Alpha's Discovery Club is holding its annual Easter egg hunt with the Easter Bunny. Easter egg hunt, Easter Bunny character, Easter theme crafts, indoor playground. Cost: $15/child. Space is limited so reserve your tickets today! Click here to see different events organized in Quebec for Easter. If you have a suggestion or you have any feedback, please do not hesitate to drop us a word. © 2019. Statutory Holidays. All Rights Reserved. Disclaimer: This website is created for Public information only. It is not a legal document.